Thinking of replacing your windows in 2019? Good idea, you can enhance your home’s visual appeal and improve your living conditions at the same time. A fantastic option for window replacements that you should consider is aluminium windows. This unique material offers homeowners loads of desirable qualities, 7 of which we’ve compiled for you in this list. Aluminium windows are the epitome of contemporary living. They feature clean, slender lines, making them the perfect complement to a modern aesthetic. One advantage of aluminium over other window materials is its exceptional strength. As a result of how strong it is, aluminium frames are able to accommodate bigger areas of glazing than other windows of the same size. This enables the homeowner to better appreciate external views. So if you’re lucky enough to have a great view from your home, opt for aluminium windows and make the most of it. More glass also means more light, resulting in homes that appear brighter on the inside. One issue with older aluminium windows was a lack of energy efficiency. Naturally, aluminium is a strong conductor, meaning heat retention is not one of its strong points. However, modern profiles now feature polyamide thermal breaks. Polyamide thermal breaks conduct heat poorly, dramatically boosting the ability to retain heat. 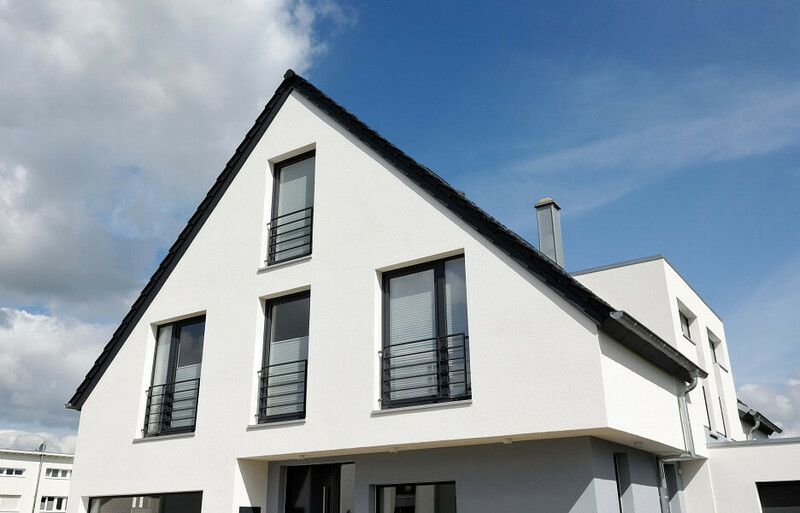 As a result of their introduction, modern aluminium windows perform very well in terms of thermal efficiency. We supply them with a Window Energy Rating (WER) of ‘A’ as standard. Unlike other metals, it has a natural oxide coating, resulting in anti-corrosive qualities that far exceed other materials. This is one of the reasons why it’s used on fighter jets and other applications requiring an exceptionally durable material. When used on windows, its finish will not peel or crack and it will not warp as time goes on. For anyone after a window appearance and performance that will last, aluminium offers exactly that and much more. Simply put, failing to recycle is bad for the environment. However, only five percent of the energy used to create aluminium is required to recycle it. It is also completely non-toxic, making it one of the most sustainable and recyclable materials around. Increasing the amount of window maintenance is not something you should expect when replacing your windows. Fortunately however, aluminium only needs the odd clean to keep it looking its best. Operating across Bristol and the surrounding areas, Associated Windows have been installing aluminium windows for years. If you’d like one or more for your home, give us a call on 0117 9311777 or send an email to sales@associatedwindows.co.uk.